A second fire at a property in a New Stevenston street is being treated as deliberate. Police are investigating after a building in Hall Street was apparently torched on Saturday night. It happened less than two weeks after a man suffered serious injuries in the same street. The 38-year-old was treated in hospital for stab wounds and burns. Police said he was one of two men who left a building shortly after an explosion and before flames engulfed it. 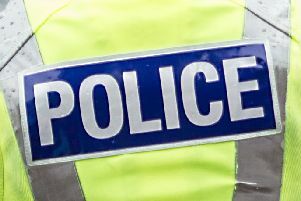 They believe “some sort of criminal activity” had been taking place in the building and reports linked the incident to a Glasgow gangland feud. It’s not clear yet if police think the second incident is linked to the earlier blaze. A police spokesman said: “We were called to a report of a fire at a property in Hall Street on Saturday about 9.45pm.